We welcome Augusto Gallino as the 2019 ISCP President. Prof Gallino is also the co-president of the Organising Committee for the 24th ISCP Annual Scientific Meeting along with Juan Carlos Kaski. The 24th Annual Scientific Meeting of the ISCP is being held in Lugano, Switzerland on the 9-10 May 2019. The programme and conference details are available on the conference website: www.iscp2019.com. This year the Henry N Neufeld Lecture will be given by Salim Yusuf who will speak on: The polypill: A simple, inexpensive approach to reduce mortality and morbidity worldwide. A Directors’ Meeting has been organised just prior to the Scientific Meeting on the 8 May. ISCP members have access to the Webinars and Conference Talks, Expert Reviews and Expert Opinions section on the website. Look out for the new webinars planned for 2019. Please forward any news or information on upcoming conferences or meetings that you would like included in the March 2019 Newsletter to me at lisa.demos@monash.edu by 22 February 2019. It is a great pleasure to welcome you at the 24th Annual Scientific Meeting of the ISCP which takes place 9-10 May 2019 at the Congress Meeting Center in Lugano, Switzerland. The objective of the meeting is to bring together cardiovascular physicians, pharmacologists, pharmacists, general practitioners, researchers, and other healthcare professionals to foster mutual discussions around the rapid evolving field of cardiovascular pharmacotherapy. We are confident that the scientific program prepared by the ISCP organizing committee, and the faculty formed by very distinguished speakers and moderators, will contribute to the success of meeting. We are also hopeful that this will be a nice opportunity for you to appreciate the beautiful atmosphere of southern Switzerland, with its lakes and mountains, combined with a touch of Mediterranean culture. The Scientific Meeting is organized in collaboration with the Working Group on Cardiovascular Pharmacotherapy (European Society of Cardiology), the Swiss Society of Cardiology (SSC) and the Swiss Atherosclerosis Association, the French Society of Cardiology and the Cardiovascular Clinical Trials Forum (CVCT). The educational and scientific programme covers a wide spectrum of cardiovascular pharmacotherapy. Delegates will have the opportunity to meet colleagues and experts in different fields of cardiovascular medicine. The Scientific Meeting will include several interesting and topical presentations including a Joint Session with ESC Working Group on Cardiovascular Pharmacotherapy on World Epidemics; The Distinguished Eugene Braunwald Lecture on the Inclisiran (RNAi of PCSK9) Trial: An Avenue for Postponing CAD until the Age of 100; as well as the Henry N Neufeld Lecture. Discounted registration fees are available for ISCP members, students and doctors in training and nurses. More information is available on the conference website: www.iscp2019.com. 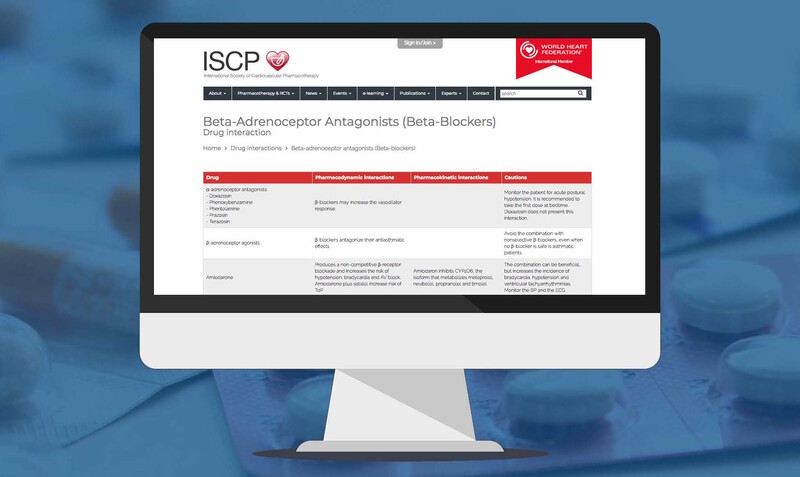 Drug Interaction section: An updated and comprehensively revised Drug Interaction section on the ISCP website is now live. Although the drug interactions section can initially be accessed by everyone, from the end of April it will only be available to Full and Junior members. We would like to thank Prof Juan Tamargo, the editor of this section, for his hard work in putting together this excellent educational tool as well as the many ISCP members who have collaborated. New ISCP Governors: We welcome Roman Freixa as Governor of Spain, Doreen Tan as Governor of Singapore and Heinz Drexel as Governor of Austria. Webinars: Members will soon have access to two new webinars on the ISCP website. Expert Opinions: Two new expert opinion articles are in the final editing process and will soon be available to members on the website. Expert Reviews: Newly added information includes: Recent Advances in Intracoronary Imaging For Vasa Vasorum Visualisation; Direct Oral Anticoagulants: A Quick Guide; and Women with Stable Angina Pectoris and No Obstructive Coronary Artery Disease: Closer to a Diagnosis. Clinical Trials Section: This section is now updated on a regular basis, with contributions from the Governors and the Board of Directors. Krzysztof J. Filipiak from the Medical University of Warsaw and Sang Hong Baek, Professor of Cardiology, Catholic University of Korea, Seoul have provided commentaries on two recently published articles in the New England Journal. These were on the ANNEXA-4 trial of Andexanet Alfa for Bleeding Associated with Factor Xa Inhibitors and on the PIVOTAL trial of Intravenous Iron in Patients Undergoing Maintenance Hemodialysis. Endorsement of Meetings: Application for ISCP Endorsement of meetings can be made either online or by completing the form available on the website. An international collaboration with WHF and International Diabetes Federation (IDF) members: Developing a roadmap on cardiovascular diseases among people living with diabetes. A small group of CVD & Diabetes experts from the WHF and the IDF came together at in Atlanta, to discuss the crisis of Type 2 Diabetes Mellitus and the increasing incidence of CVD. The objectives of the meeting were clearly defined to detail a vision of an ideal patient pathway for CVD & Diabetes patients, to identify roadblocks along this pathway and consider solutions that could be adapted and applied across different contexts. A survey was the first of further planned surveys to work collaboratively with members in order to develop and propose solutions that match expectations and inform an initiative that may have a real and significant impact for early diagnosis and improved care for CVD & Diabetes patients. WHO unveils sweeping reforms in drive towards “triple billion” targets: WHO announced the most wide-ranging reforms in the Organization’s history to modernize and strengthen the institution to play its role more effectively and efficiently as the world’s leading authority on public health. The changes are designed to support countries in achieving the ambitious “triple billion” targets that are at the heart of WHO’s strategic plan for the next five years: one billion more people benefitting from universal health coverage (UHC); one billion more people better protected from health emergencies; and one billion more people enjoying better health and well-being. ESC Congress 2019 with World Congress of Cardiology: This year WHF has joined forces with the European Society of Cardiology for the first joint congress under a new model. This model will see the WHF congress taking place every year in partnership with a WHF member. The spotlight of the Paris congress is Global Cardiovascular Health. Abstract online submissions are accepted till 21 May (midnight CET) for Late-Breaking Science. Look out for the ISCP Joint Session. 2nd Meet & Share Forum: WHF will be hosting this forum from 31 August to 1 September 2019, during the ESC Congress 2019 together with World Congress of Cardiology. 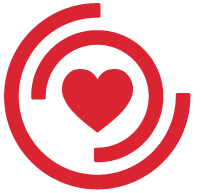 This unique forum is designed to bring together those involved in leading international, regional, national or local foundations and associations related to cardiovascular disease. It is a platform to discuss obstacles, share success stories and consider best practice implementation. The Current Cardiovascular Therapy Series is created with the support of the ISCP. The books provide both an in-depth view of the science and pharmacology behind these drugs and a practical guide to their usage. Each volume is designed to be between 120 and 250 pages, containing practical illustrations and designed to improve understanding and practical usage of cardiovascular drugs in specific clinical areas. The series currently includes 9 books: Antiplatelet and Anticoagulation Therapy; Pharmacological Treatment of Acute Coronary Syndromes; Atrial Fibrillation Therapy; Cardiac Drugs in Pregnancy; Pharmacotherapy in Aortic Disease; Pharmacologic Trends of Heart Failure; Pharmacological Treatment of Chronic Stable Angina Pectoris; ACEi and ARBS in Hypertension and Heart Failure; Treatment of Pulmonary Hypertension. The books are available as e-books or in soft cover at a discounted rate for ISCP members. The European Cardiology Review is a peer-reviewed bi-annual journal comprising review articles, editorials and case reports. 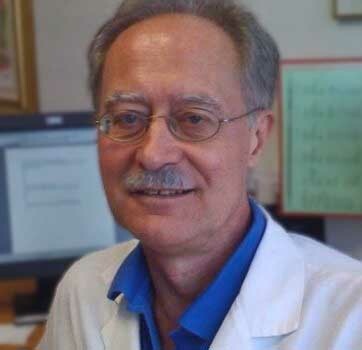 The journal is led by Editor-in-Chief Juan Carlos Kaski, supported by Associate Editors, and underpinned by an editorial board of world-renowned physicians. Volume 13, Issue 2 Winter 2018 is available online along with several online-first articles. 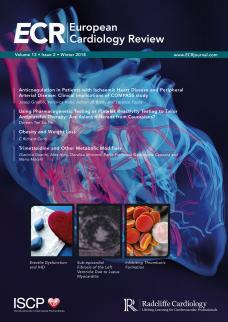 Topics covered in the Winter issue include: Left Ventricular Ejection Fraction in Heart Failure; Obesity and Weight Loss; Erectile Dysfunction and Ischaemic Heart Disease; Using Pharmacogenetic Testing or Platelet Reactivity Testing to Tailor Antiplatelet Therapy: Are Asians Different from Caucasians? ; Anticoagulation in Patients with Ischaemic Heart Disease and Peripheral Arterial Disease: Clinical Implications of COMPASS study; as well as the Best Posters from the 2018 ISCP Scientific Meeting. The ECR is a free on-line review accessible via the ECR website. Article PDFs can be accessed via login or by registering. ECR is now indexed on PubMed Central and PubMed and articles are published in full online on PubMed Central. ECR is always seeking review and opinion from leading figures from across the community. For information on submitting an article, please contact the Managing Editor, Jonathan McKenna.